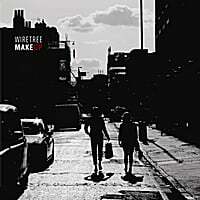 Wiretree-Make Up. The career of Kevin Peroni (a/k/a Wiretree) has coincided with the existence of this site; his debut EP was one of the first reviewed here. So it's been interesting to follow him these past 5-6 years and see how his sound has evolved. He's gone from the Tom Petty/Wilburys sound of the debut and Bouldin to more of an indie rock sound with Luck, and has completed the transition here with Make Up. The one constant has been the songwriting, and whatever the subgenre, Peroni has consistently given us fine tunes. This time around, it's the ringing guitar chords of "Make Up", the catchy heartland rock of "Broken Foot" and the rollicking "The Shore", which is reminiscent of Green Day's "Holiday". The disc even closes with the Jayhawks-like country ballad "Josephine". But there are a few remnants of the classic Wiretree sound here with "Tinyhearts" and "Tonight". Overall, it's nice to see him branch out without sacrificing the quality of the tunes, and I look forward to what comes next. 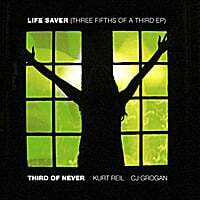 Third of Never, Kurt Reil & CJ Grogan-Life Saver (Three Fifths of a Third EP). Grip Weeds alert! Fans of that longtime power pop band will want to grab this split EP, which features lead singer Kurt Reil's Third of Never side project, two tracks from Reil himself, and two others from CJ Grogan (also in Third of Never). Third of Never's title track is excellent (and leads us to hope a followup to 2007's Moodring is the offing), Reil's catchy "Gonna Find My Way" is another standout, as well as his psych-rocking "Wake Up Time". Grogan's "Tracer" is an energetic rocker, but his piano ballad closer "Margaret" meanders a bit. Still, 4 out of 5 ain't bad. Jeff Shelton's at it again. Perennial site favorite The Well Wishers are due for another new album. It's called Dreaming of the West Coast (where else? ), and should be out by year's end. 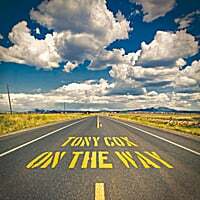 Tony Cox-On the Way. After a successful and well-received debut in the power pop community with 2009's Unpublished, Tony Cox is back with On the Way, and he's topped himself in the process. As with Unpublished, Tony enlists pop utilityman Nigel Clark (who can be heard with Dodgy, The Offbeat, and his own solo disc) on vocals, and the combination is another winner. Opener "We'll Get High" is a perfect pop confection, a slice of 60s-pop with a hint of soulfulness. 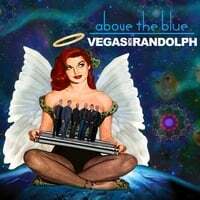 "Hold Me Angeline" is reminiscent of Clark's work in The Offbeat, while "The Way" evokes The Association with a Nuggets-styled sheen. And "Curse of Love" could pass for a lost Zombies classic. 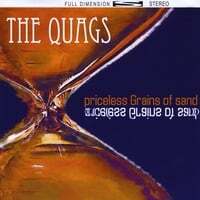 This could the album of the year for those who love 60s-styled sunshine pop. 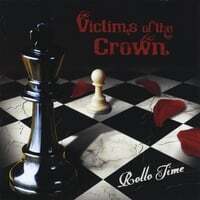 Rollo Time-Victims of the Crown. It's Rollo Time again, as this Chicago-area band returns with the followup to their 2007 self-titled debut. Once again, they show a great facility for melding classic rock and power pop, and that's apparent right off the bat with "You Can Talk" and "Sick and Tired", a pair of tracks that will appeal to fans of bands like The Shazam and Superdrag. "Eyman Prison" tells the story of a frustrated prisoner (of a real Arizona prison) to a power pop beat, while the midtempo janglers "Madeline Says" and "I Can't Believe This Day" are also standouts.